Are you unable to see through the peephole on your front door? Would you like to be able to see who is at your door before they see you? 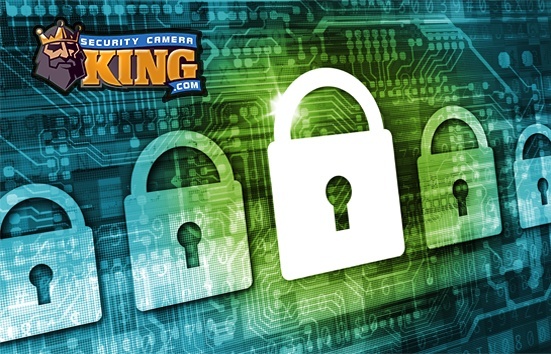 Home door security systems could be the answer for you. Home door security systems can range from a very simple one-camera system to a more complex multi-camera system with entrance controls. A simple home door security system consists of a digital video camera and a monitor. The camera is placed in an appropriate location so that it best captures the identity of the person or person knocking on your door. The monitor may be located anywhere within the house that is the most convenient for the user. A transmission cable is run between the camera and the monitor. The unit is generally in a continuous “on” state so that potential guests can be seen approaching the door. A more sophisticated setup may include a Pan-Tilt-Zoom (PTZ) camera and monitor. If used correctly, a PTZ home door security system can take the place of two or more cameras. A PTZ camera can move about a horizontal or vertical axis increasing the field of view for the camera. In addition, the zoom function permits the user to use the telephoto capabilities of the lenses to enlarge the field of view. Using a PTZ camera, you can easily enlarge the field of view to get a close up of the visitor’s face. Another more sophisticated home door security system setup may include more than one camera. 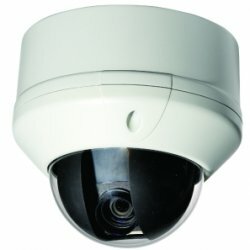 A camera can be placed at every exterior entrance/exit of the residence. This provides the homeowner with the ability to monitor all the doors of the residence from one central location. You can take advantage of the audio feature for your home door security system too. Most digital video cameras have the ability to record audio as well as video. You can easily monitor sound by using a setup that has a monitor with speakers. Some systems also have two-way audio, which allows the user to interact with the visitor as well. Finally, the ultimate home door security system could include not only a camera monitoring system, but a remote entrance control as well. You can install remote door locks that can be unlocked (or locked) at the push of a button. Used in combination with a camera with two-way audio and a monitor, this is the ultimate in safety and security for a home door security system. As visitors approach the door you can monitor both video and audio. When the visitor knocks on the door, you can greet the visitor or inquire as to their visit, before allowing them entrance to the premises. Once you have decided to grant the visitor(s) access, you can remotely unlock the door and invite them in. These systems work great not only with security as the primary consideration, but they are especially useful for physically challenged individuals that would find it difficult to greet every visitor at the door. Home door security systems aren’t limited to just doors either. The same sort of set can be used on entrance gates to properties, providing even greater preemptive security monitoring, especially when combined with a remote automatic gate control. Also, home door security systems aren’t just limited to use in single family homes; they can be utilized for apartments or condominiums as well. This is especially useful if you live in a multi-apartment building and there is no fulltime door man or building monitoring system. In this case a camera could be monitored on the exterior of your wall next to your door. Or, if you want to use something less noticeable, you can use a very small “pinhole” type wireless camera mounted on your door itself. Thanks to the versatility of digital video security cameras, there are literally dozens of ways to set up a home door security system. In addition, modern innovations in electronics have driven component prices down so that these systems are reasonably priced. If you are looking for a simple and affordable method for monitoring visitors at your residence, a home door security system is a cheap and sensible investment.